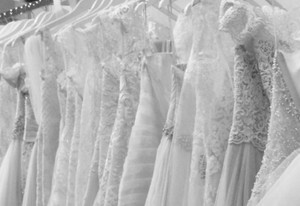 The right style for the fashion-forward bride! 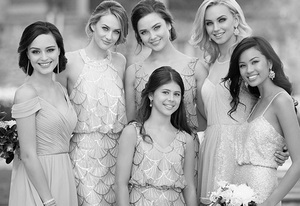 Sorella Vita bridesmaid dresses have it all! A premiere name in the industry, many brides opt for Sorella Vita bridesmaids dresses because they offer the on trend style they’re looking for. A touch of soft luxe with amazing fabrics. Sorella Vita helps your bridesmaids focus on how beautiful they look, and how excited they are to be such an important part of your special day, instead of the cost of their dress! Sorella Vita bridesmaids dresses are available in a wide array of designs, hues and lengths to suit everyone’s unique taste and color palette. From lovely, ladylike, classic black lace to the most beautiful blues and vintage rose and pinks, your favorite Sorell Vita bridesmaid dresses are offered in a rainbow of color options. In fact, the collection has more than 20 shades to choose from, making it tricky to choose just one! Looking for dresses that will fit and flatter women of varying sizes, from petite to plus size? Sorella Vita dresses are designed in straight sizes 2-16 and plus sizes 16W-28W. All your favorite ladies will look and feel their gorgeous best, just like you!